Dr. Orazio works closely with her patients, their family members, and their other providers, including physicians, psychologists, social workers, teachers, school administrators, community agencies, counselors, occupational and speech therapists, and nutritionists. 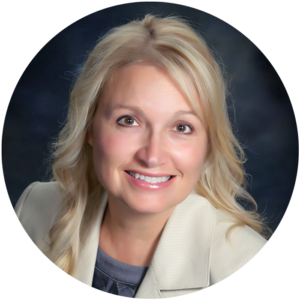 She ensures a collaborative relationship with her patients and other providers to promote optimal outcomes and personalized care. Dr. Bramlet treats a variety of mental health conditions in the adult and geriatric population including but not limited to Bipolar Disorder, Depression, Anxiety Disorders, Dementia and related conditions, and Schizophrenia. He provides services in a variety of locations including outpatient, inpatient, partial hospital and nursing homes. 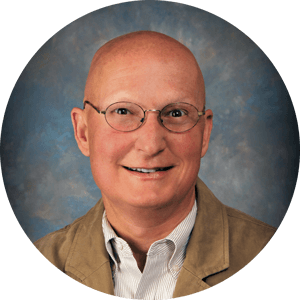 He has enjoyed providing mental health care in rural underserved southwestern Louisiana for over two decades and continues to do so. "I have seen Dr. Orazio for treatment since [childhood].... I still trust in her medical and psychiatric knowledge and expertise..."
"I’ve been seeing Dr. Orazio for over 4 years, and there is no one I trust more with my care or that of my family. " "I chose Dr. Orazio initially because of proximity and because I had been unsatisfied with other physicians I had tried for my son in the past. We have stayed with Dr. Orazio because of her approach and demeanor... "
Psychiatric Associates of Southwest Louisiana is a professional mental health practice focused on treating a broad continuum of psychiatric needs. Our physicians are dedicated to improving the quality of life of our patients, and we do so with a special focus on delivering care in an accepting, respectful, and compassionate atmosphere. We provide services throughout the life span, from toddlers to the geriatric population. Our model involves careful assessment of a patient's needs and collaboration with other providers to ensure optimal care. It is our goal to provide Lafayette and the surrounding areas with comprehensive treatment marked by a caring and personal touch. Psychiatric Associates of Southwest Louisiana is a professional mental health practice focused on treating a broad continuum of psychiatric needs. Our physicians are dedicated to improving the quality of life of our patients, and we do so with a special focus on delivering care in an accepting, respectful, and compassionate atmosphere. We provide services throughout the life span, from toddlers to the geriatric population. Our model involves careful assessment of a patient's needs and collaboration with other providers to ensure optimal care. It is our goal to provide Lafayette and the surrounding areas with comprehensive treatment marked by a caring and personal touch. 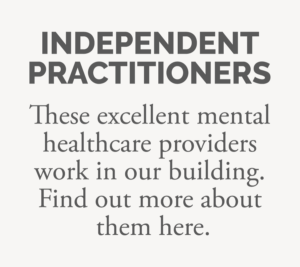 These excellent mental healthcare providers work in our building. Find out more about their comprehensive services here. © 2018 Psychiatric Associates of Southwest LA | Site Design by Colin Miller and Attahost.